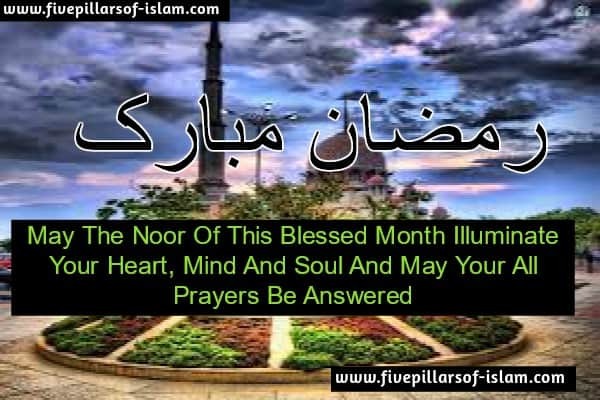 What Is Ramadan 2018 – Ramadan Karim is one of the most beautiful month in the Islamic calendar. This is the ninth month of the lunar calendar. This is the month in which the Quran had revealed from Loh-E-Mahfooz to the nearest sky of the earth. A most blessed month in which lies a night greater in virtue than thousand months, a special night named Lailatul Qadr. This is indeed the month of patience, kindness and mercy, sacrifice. 0 people! There comes over you now a great month, a most blessed month in which lies a night greater in virtue than a thousand months. Therefor Allah ordered the men to fast by day in this holy month. So every one should try to reduce the difference between him and Allah. The fasting wants to patience. One who doesn’t have the patience cant complete the task of Ramadan. It is the month wherein a true believer’s rizq is increased. Whosoever feeds another who fasted, in order to break the fast at sunset, for the feeder there shall be forgiveness of sins and emancipation from the fire of Jahannam (hell), and for such feeder shall be the same reward as the one who Fasted (who he fed) without that persons reward being decreased in the least. Thereupon we said, “0 messenger of Allah, not all of us possess the means whereby we can give a fasting person to break his fast. 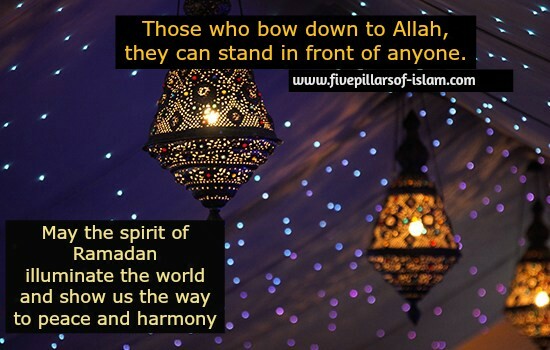 What would I do when I find the month of Ramadan? What is the reward of who respects the fasting person? 1- The smell from the mouth of a fasting person, of my Ummah, is more sweater to Allah than the fragrant smell of musk. 2- On their behalf the fish in the sea seek forgiveness for the fasting persons of my Ummah until they break their fast. 3- Allah prepares and decorates a special garden in Jannah every day and then says (to it), “The time is near when faithful servants shall cast aside the great trials of the world and come to you. 4- In this month (for them) evil-minded Satan is chained so as not to reach unto those evils to which they normally reach during other months besides Ramadan. 5-On the last night of Ramadan they are forgiven. The Sahaabah R.A. thereupon enquired, “0 Messenger of Allah, Is that last night Laylatul Qadr? Rasulullah (SAW) replied, “No. But it is only right that a servant should be given his reward on having completed his service”. So, the month of Ramadan is the Favorable environment of good deeds. Everyone should participate in this environment. “Woe to him who found the blessed month of Ramadan and let it pass by without gaining forgiveness”. Kaab bin Ujra relates, “Rasulullah (SAW) said, “Come near to the Mimbar”. And we came near to the Mimbar. When he ascended the First step of the Mimbar he said “Aameen”. When he ascended the second step of the Mimbar he said, “Aameen”. When he ascended the third step he said, “Aameen”. When he descended we said, “0 Rasool of Allah, we have heard from you today something which we never heard before”.